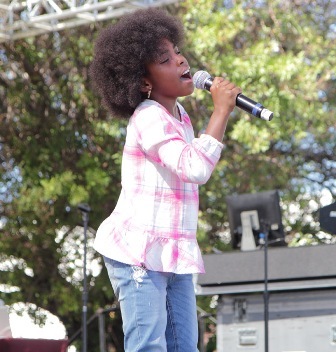 Seven years ago, Bakewell Media created the StarQuest Singing Competition as part of the Taste of Soul Family Festival in hopes of showcasing some of the hidden talent that lives and thrives within the community. 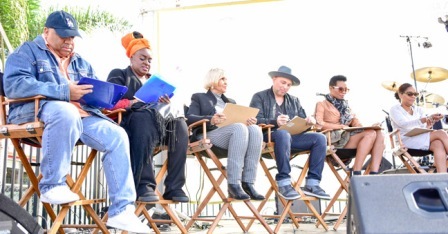 Since then, many of the participants have used the singing competition as a vehicle of inspiration to give them the exposure and confidence they need to make it to the next step in the entertainment industry. 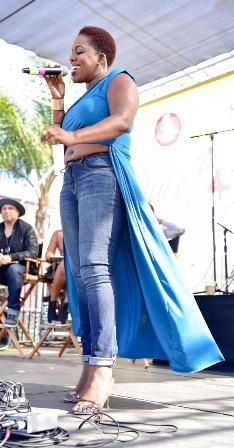 “StarQuest is a huge part of Taste of Soul that we are very proud of. Just as our chefs and entrepreneurs get to show off their business talent along Crenshaw, StarQuest gives our entertainers a chance to show off their vocal talents,” said Taste of Soul creator Danny J. Bakewell, Sr.
As of this month, auditions for the 7th annual StarQuest Singing Competition have officially launched. That’s right. Those who are interested in participating in the singing competition can audition three ways; online, through the Taste of Soul mobile app, and in person. How does it work? During the audition, participants are allowed to perform their song of choice a cappella or bring their musical track on a CD or flash drive. Your song should be one minute and 30 seconds, and should be the only song on the CD or flash drive. Lead vocals are not allowed on the song, however background vocals are allowed. Please note StarQuest is a singing competition only! A rap bridge with clean lyrics is acceptable however, 80 percent of the performance must be sung. No bands or instrumental accompaniments are allowed in the audition. For the StarQuest online auditions, participants can upload a 45 second video of themselves singing a song of their choice now through September 14. Once approved, your video can be viewed and voted by the public one vote per day, per person, per video. Contestants participating in the mobile app auditions must download the Taste of Soul mobile app through either Google Play or the Apple Store. Once the app has been downloaded, you can record your song of choice on your phone and upload the voice recording to the Taste of Soul mobile app. All participants are highly encouraged to post their StarQuest audition on their personal social media pages and ask their followers to vote for them to increase their chances of winning. If you decide to post your audition video on social media please use the hashtags #TasteOfSoul2018 and #StarQuest2018. No videos with foul or inappropriate language will be allowed. On September 15, one adult and one child online finalist who receives the most votes will have an automatic slot in the finals at the Taste of Soul Festival on October 20th. Those who did not win online are encouraged to audition again in person. In person auditions will be held on Saturday, September 22 from 11am-4pm and Sunday, September 23, from 12-5pm at the Baldwin Hills Crenshaw Plaza, 3650 W. Martin Luther King Jr. Blvd Los Angeles, CA 90008 on the Macy’s Bridge. Ages 5-17 will compete in StarQuest4Kids and ages 18 and up will compete in the StarQuest adults. 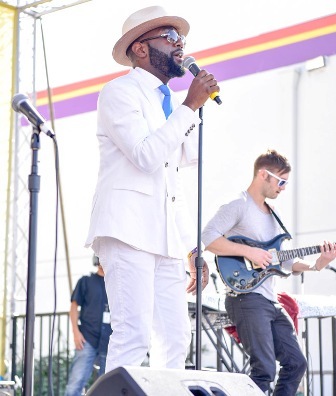 Only six finalists from each age category will be selected from the live auditions to perform on the Hyundai Soundstage at the 13th annual Taste of Soul Family Festival on Saturday, October 20 from 10 am - 12:30 pm. In addition to a cash prize, one grand prize winner from each competition will be escorted to perform on the radio station stages. 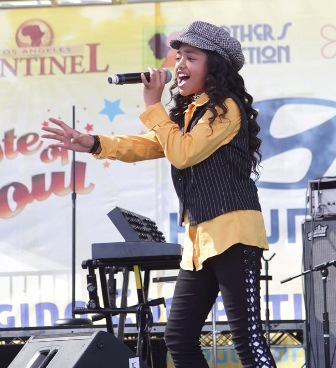 The StarQuest4Kids winner will perform on the102.3 Radio Free KJLH stage and the StarQuest adult winner will perform on the 94.7 the Wave stage. 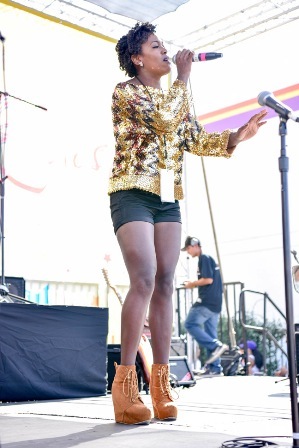 Former StarQuest4Kids participant, Anisa M. Washington spoke to the Sentinel about how the singing competition has advanced her career as a singer, actress, and children’s model. Since StarQuest, Anisa has been accepted to the Hollywood Launch Academy, a performing arts school, where she will continue to perfect her craft. Additionally, she has performed in stage plays, a musical and many other events. Currently she is in production on a stage play that is said to open in Los Angeles this coming January. “Before participating in the StarQuest competition, Anisa knew that she wanted to entertain the world but she was a bit shy and afraid to be judged on her talents. 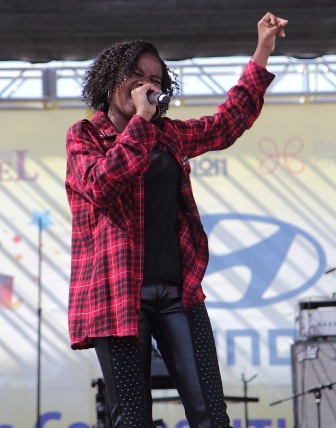 Singing on the stage at the Taste of Soul prepared her for all of the strides that she is making in her career and she is extremely grateful to all of you that have assisted in her growth,” said Anisa’s mother, Annisha Watson. StarQuest producer Pat Shields has been producing the singing competition since 2013 and couldn’t be more excited to see the vocal talent the contestants are bringing to the stage this year.